Restylane Silk is an FDA-approved hyaluronic acid (HA) filler that we use for enhancing & restoring lip volume as well as correcting lip lines & wrinkles. All cosmetic injectable treatments that we offer at DLVSC are performed by one of our board-certified physicians, ensuring the highest level of safety and efficacy for our patients. Am I a good candidate for Restylane Silk? 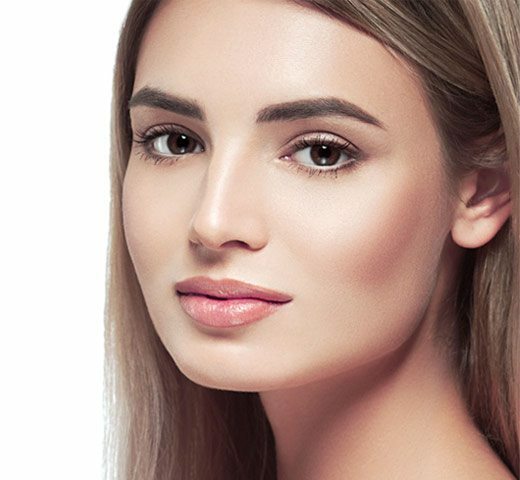 If you are interested in Restylane Silk or lip injections, you should see one of our board-certified physicians for a consultation. Our doctors are expert injectors who are well known for their artistic eye and ability to create natural, beautiful results. What is Restylane Silk treatment like? Restylane Silk comes pre-mixed with lidocaine, so as the treatment goes along you will feel less & less. However, the mouth can be especially sensitive and we offer several ways to limit discomfort. We usually recommend a dental block (just like at the dentist’s office), to prevent any injection associated pain. This will temporarily numb your lips and the area around your mouth while we do the treatment. Of course, if you aren’t comfortable with having a dental block, we do have other pain reduction options available. Once you’re comfortable, we’ll proceed the filler treatment! On average, this procedure takes about 10-15 minutes. After the treatment we’ll go over your aftercare instructions & give you an ice pack to take home. What are the potential side effects of Restylane Silk treatment? When performed by an expert injector, side effects from Restylane Silk are very mild. However, swelling is a commonly reported side effect with Restylane Silk and should be both expected and prepared for. In addition, mild redness and/or bruising may be visible in the first few days after treatment. Typically, these side effects resolve on their own and are easily tolerated. However, if bruising occurs, we have a vascular laser treatment available to you at no charge which will make them disappear much faster. Is there any downtime after lip filler? There’s no downtime with Restylane Silk treatment and you can resume your daily routine immediately afterwards. However, to be on the safe side, we recommend avoiding alcohol and limiting intense exercise in the first 24 hours after treatment. Of course, these restrictions are not required, but will certainly minimize the potential for bruising and/or swelling. Also, don’t massage the treated areas with your hands unless instructed otherwise. When will I see results? How long does Restylane Silk last? Restylane Silk provides immediate results and is FDA-approved to increase lip fullness & soften the appearance of lines around the mouth for approximately 6 months! However, it’s important to remember that fillers may not last as long for one person as they do for the next. For some people it may be as few as 3 months and for others, up to 1 year. If after 2 weeks you aren’t satisfied with your results, please call us to come back for a follow up visit. Indeed, a touch-up may be needed to give you the best results possible.